As the marriage between good design and functionality becomes more prevalent, creatives find themselves viewing everyday objects from a different perspective. As a result of such evolved thinking, staircases of late have become quite a feature element. There are cantilever stairs where the treads project from the wall, stairs which double as drawers, concrete stairs with embedded granite and the ever-so-dramatic metal spiral. The railings no longer comprise of a series of wooden posts – they have transformed into sculptural pieces. It is pivotal to mention the standards by Architects in Pakistan that should to be adhered to, no matter how adventurous the design. 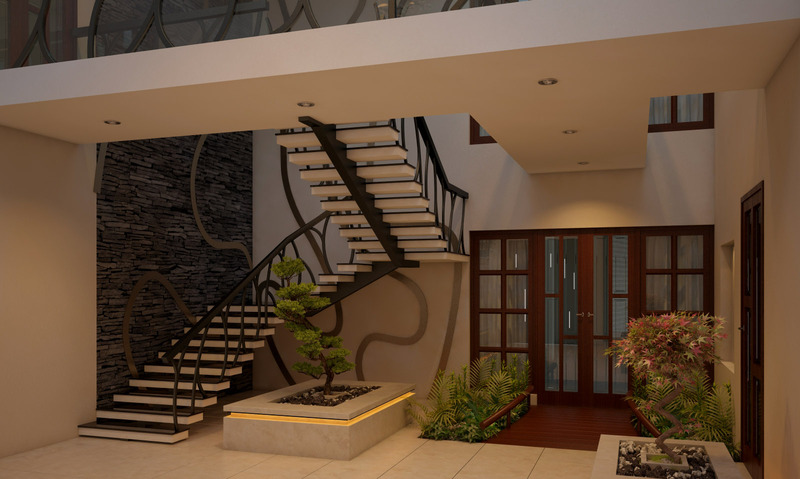 At this point it’s possible to wonder how the art installation stairs prevalent in residential spaces today fit the above-mentioned criteria – they don’t, said by a great interior designers in Lahore. These steps may look great but are not ergonomically designed; human comfort takes a backseat to the AWE factor. In residential and commercial spaces the entrance lobby should make an impression. Staircases allow the designer to play with materials and scale – structural design determines how much light will pervade through (steel framed stairs tend to have gaps, as opposed to solid risers, which allow visibility). Broadly speaking, stairs tend to be classified by type i.e. according to shape. Therefore, we have half-turn, quarter-turn, circular, helical and bifurcating stairs. Circular stairs tend to have narrow treads unless designed in a very large hall – straight line options are better for opening up tight areas. Ultimately, rather than a means of getting from one level to another, a staircase can add oomph to any space – should it be subjected to such a task.